What are the Best Xiaomi Smartphones Available in 2019? If you’ve never heard of Xiaomi before, then you’re about to big time! They’re a huge consumer electronics company based out of China that have been pushing the envelope of what’s possible from import technology. While in the UK, they’re mainly known for their range of smartphones with excellent build quality. They are also the makers of products as diverse as electric scooters, air purifiers, smart trainers, selfie sticks, robot vacuums and baby slings! Over the last couple of years, they have cemented themselves as the premium Chinese import brand standing side-by-side against other Chinese giants like Huawei, Oppo & OnePlus. With their reputation firmly set in China, 2019 is going to be the year that they cross-over to the west with some on the ground stores. In early November 2017, Xiaomi started selling in Europe and the Xiaomi owned Yi brand has been selling through Amazon direct for a while now. Before long before you’re going to see Xiaomi mobiles offered directly in retail as a cheaper Apple alternate but with the same premium aluminium designs. So what sets the Xiaomi apart from the myriad of mobile brands that have popped up over the last few years? Simply put… build quality & choice. Need a flagship phone with a great camera? 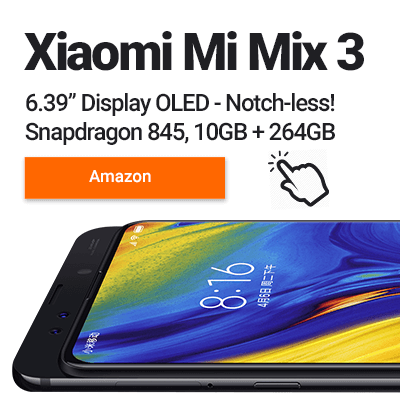 There’s a Xiaomi for that! Need a budget-friendly device running the latest version of Android? Want the latest in bezel-less technology? Xiaomi has you covered. 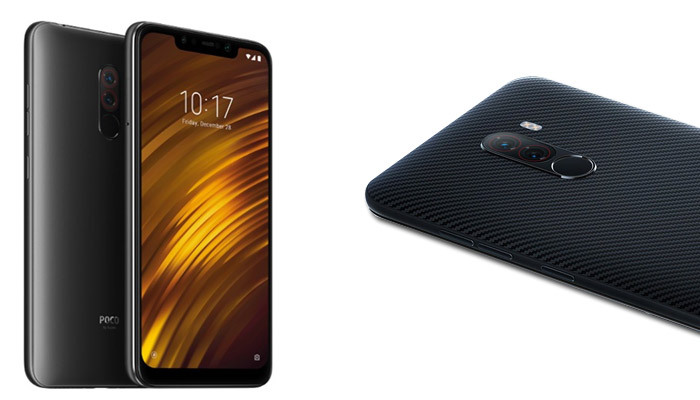 The Best Xiaomi Mi & Xiaomi Redmi Smartphones you can get your hands on in 2019! We’ve updated this article with the best of Xiaomi’s 2019 smartphones. But – the previous generation devices are still awesome, so we’ve not removed them from the page and they sit in a ‘best of the rest’ section below. As they’re now a little older, they represent even greater value for money! Full ‘Comparison Table‘ at the end. Xiaomi Mi Mix 3 – All Hail The Smartphone King! The most innovative line of smartphones ever, was back again in late 2018 with the Mi Mix 3. 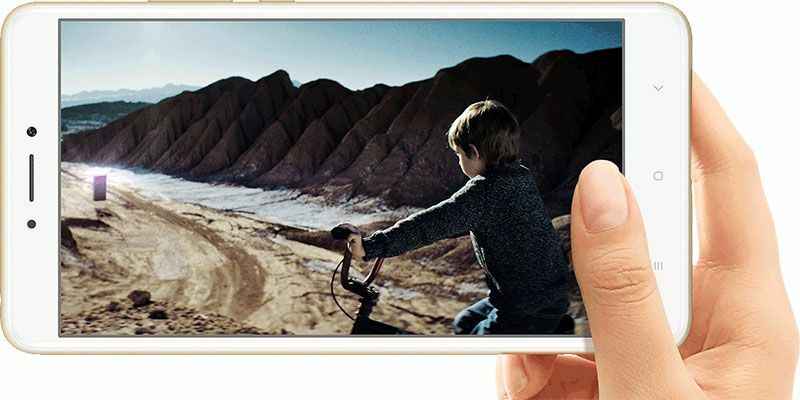 But what does the 4th instalment of the Mi Mix series have to offer us? Let’s find out. Well, for starters the Mi Mix 3 comes with a bamboozling 10GB’s of RAM, more than most laptops and enough to… well I have no idea what 10GB’s of RAM is for… showing off maybe? For those more sensible, you can save yourself a few pennies by opting for the 8GB or 6GB version instead. With the same Snapdragon 845 as the Mi 8 below, what is it that makes the Mi Mix 3 stand out? It’s that flipping magnetic sliding mechanism of course! Yes that’s right, the Mi Mix 3 is a phone of two halves, that uses magnets to slide over each other revealing the dual 12MP selfie snappers! This trending feature of hiding the selfie cameras means that the beautiful Samsung made AMOLED Display is totally notch-less which will please more than a few notch-haters. Unfortunately, it does have a chin, unlike some of the best bezel-less options available. Finally, it’s the first phone to feature Xiaomi’s latest MIUI 10 Android OS which promises more customisation and swipey gesture navigation. Plus it’ll feature 10w wireless fast charging across all the versions. Rather than an-all out flagship device (like the Mi Mix 3 above), the Mi 8 is all about keeping as many flagships features as possible while maintaining its status as the best value-smartphone available. 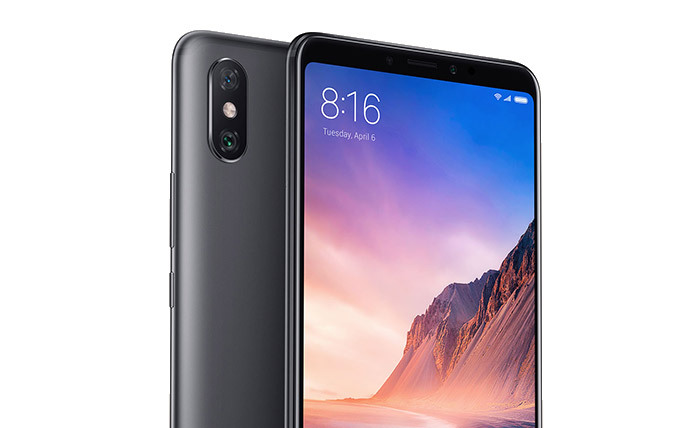 You can think of the new Xiaomi Mi 8 as what the OnePlus phones used to be… that is before they hiked up their prices. 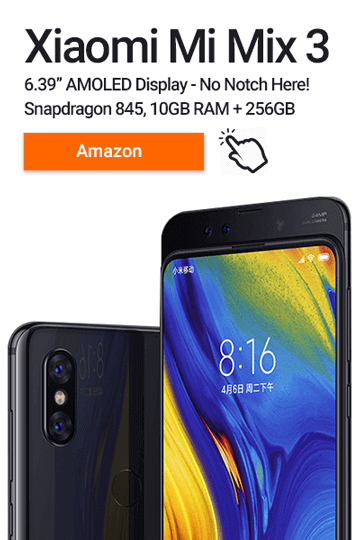 Update: Check out the Xiaomi Pocophone F1 below, for the same Snapdragon 845 high-end performance at around half the price! 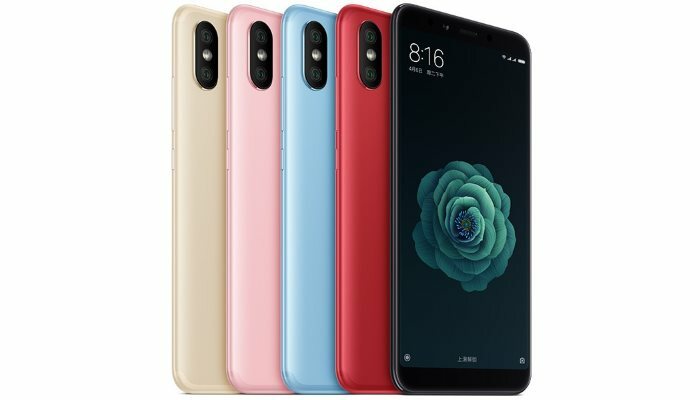 So what does the Xiaomi Mi 8 offer? First of all, its moved to a Samsung Full HD+ Super AMOLED display that offers the best contrast and ultimate black levels all while saving battery life. We can the expect MIUI 10 (Android 8.1) to take advantage via an always-on display upgrade. It uses the fastest Qualcomm Snapdragon 845 chip combined with 8GB’s of RAM and 128GB’s of storage as standard. You also get other high-end features like NFC, Bluetooth 5.0, AC WiFi, Qualcomm Quick-Charge 4.0 and a new dual-band GPS module. Hang on, isn’t the Xiaomi Mi 8 starting to sound like a better deal than the Mi Mix 2S? You’re damn right, but in fairness, the Mi Mix 2S has been available for quite some months. If the top end Xiaomi Mi 8 is out of your budget, then don’t worry as there will always be a few variations to choose from. You can save some money by going for the 6GB RAM version with less storage. Xiaomi are also releasing the Mi 8 SE which comes in at around £150 less but loses the Snapdragon 845 for the more modest Snapdragon 710. We see a few other downgrades, but most importantly the SE version keeps the same Super AMOLED Display. On a plus note, it weighs in at around 10 grams less. Xiaomi Mi Mix 2S – Beauty Meets Performance! 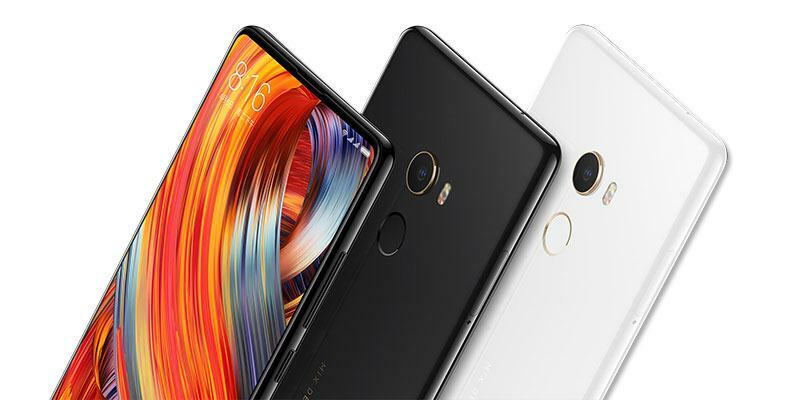 The Mi Mix 2S was Xiaomi’s most beautiful smartphone, until of course the Mi Mix 3 above. Note: Now that the Mi Mix 3 is out in the wild, expect to get some of the best bargain deals ever on this beautiful yet still very capable smartphone. With the latest CPU, oodles of RAM, a stunning screen and a new premium camera setup the Mi Mix 2S brings true flagship performance and specs at the Xiaomi price we know and love. It’s the cheapest way to get your hands on a phone with the new Snapdragon 845 CPU, and its benchmark scores peg it up there with this year’s premium flagships of Samsung and Sony. Let’s not forget about great design and build quality too. The Mi Mix 2S looks incredible, retaining the design of the Mi Mix 2 that saw it become an exhibit at the world-renowned Centre Pompidou art and design museum in Paris whilst shaving a couple of mm off the all-round footprint. Constructed with a metal frame and ceramic body the Mi Mix 2S oozes class and begs to be shown off and not put in a case. Bear in mind though that the ceramic back is something of a finger print magnet. 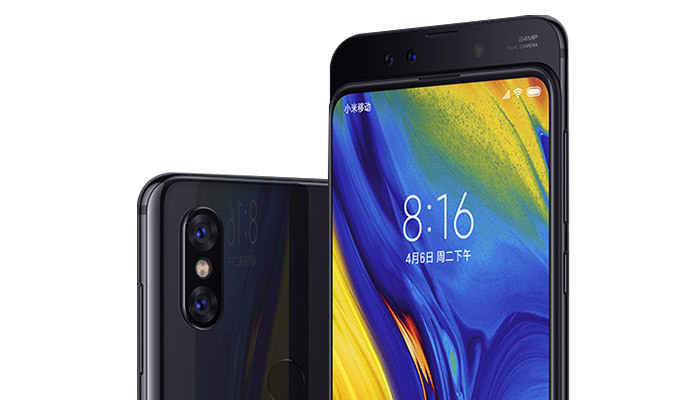 The other main improvement over the Mi Mix 2 is the new dual camera set up. After the mediocre camera in the Mix 2, Xiaomi have unleashed their big guns and the results are outstanding. DxO, the smartphone industry standard for testing camera performance, have scored the Mi Mix 2S a mark of 97. This puts it in joint 5th place in the all-time smartphone camera quality table! There is also the very welcome addition of wireless charging. Now you can still listen to wired headphones (via USB C adapter) and charge your phone at the same time. So as you can see, it’s not a question of should you treat yourself to a Mi Mix 2S, but why haven’t you ordered one yet!?! If you like the idea of the Xiaomi Mi A2, a stock Android smartphone with the excellent build quality of Xiaomi, then you’ll love the Pocophone F1! Designed for a western audience from the get-go, it comes with a leaner version of MIUI OS, infrared Face-Unlock, excellent rear dual cameras, liquid cooled internals and a beautiful FHD+ notch display. Usually, with smartphones at the price-range we then talk about its mid-range performance. Not so with the Pocophone F1 that uses the flagship level Snapdragon 845 coupled with 6GB’s of RAM and a 64/128GB storage choice. Battery life is also impressive with a fast-charge ready USB Type-C connection to a 4000mAh non-removable battery. 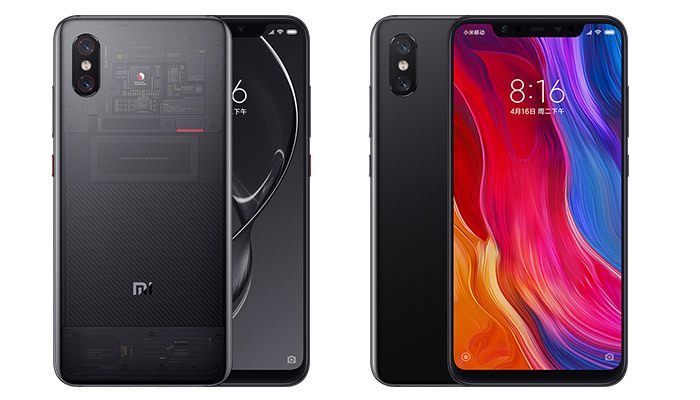 The Xiaomi Pocophone F1 is what the OnePlus used to be! A smartphone that doesn’t compromise on the Price or Performance! It’s the Android Nexus phone of late 2018/ early 2019! 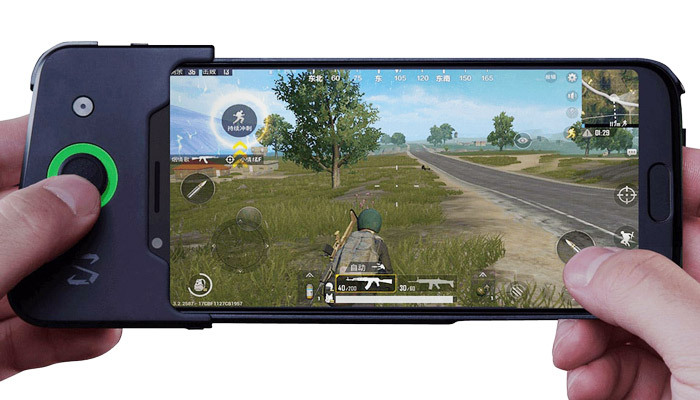 Xiaomi were obviously taking notice when Razer launched their gaming phone in late 2017, as they recently announced the Black Shark. Even ignoring the gaming credentials for the moment, this is an absolute monster flagship-grade phone. Packing the Snapdragon 845 CPU with 8GB RAM this shark is clearly one of biggest fish in the sea. Love Gaming!? Check out (The Best Gaming Smartphones – 2019) article for the latest in dedicated gaming phones. So what’s special about the Black Shark? Why is it a ‘gaming’ phone? Firstly, there is a Shark Key button on the side which activates the high performance gaming mode. This works in parallel with a unique liquid cooling system to make sure it doesn’t get too hot to handle. You’ll also be able to get an attachable gamepad to give you full control of your games. I’m already thinking of the PUBG-related possibilities! Some of us were expecting more though. Personally I would have loved to see a screen with 120Hz refresh rate for an uber gaming display, but that’s just being greedy and would have come at a significant premium. We’re eagerly looking forward to reeling in this monster from the deep. Stay tuned for our upcoming hands on review! The Mi A1 was one of the most popular smartphones released in the last 12 months, combining Xiaomi’s unparalleled build quality/price ratio with a barebones Android One experience. This time they’ve added all the bells and whistles that you’d want from the latest device, and the result will be the best specced non-Pixel pure Android phone available. You want the premium Snapdragon 660 CPU with up to 6GB RAM, you got it! How about an FHD+ 18:9 display housed in a super slim 7.3mm body? Sure thing! And to sweeten the deal, Xiaomi have updated the Mi A1’s already impressive camera set up. The Mi A2 will have an AI enhanced dual camera system that Xiaomi claims will outperform the iPhone X! As it’s 2019 you’ll get USB Type-C charging, but no headphone jack. And that super-slim body can only fit a 3010mAh battery, but with the efficient CPU and bloat-free OS it will still last all day. Xiaomi Max 3 – Big Beautiful & Netflix Ready! The Xiaomi Mi Max 3 is a pocket-killer! At 6.99 inches, the Full HD+ Display is humongous and venturing deep into tablet territory but with cellular capabilities. It’s a true mid-range smartphone offering solid media-gulping performance thanks to its 4GB RAM coupled with the mid-level 8-core Snapdragon 636. While it can’t keep up with the Pocophone F1 or even the Xiaomi Mi A2, it does have feature a solid camera and an epic 5500mAh battery. Before you get too excited though, rumours are that Xiaomi are in development of a Xiaomi Mi Max 3 Pro, that’ll feature the next-gen Snapdragon 710 and give this smartphone the performance it deserves! The Note 5 is the latest in the mid-range conquering Redmi Note series and by far the best Redmi branded phone we’ve seen. There is so much going for the Redmi Note 5. Build quality is, as ever, spot on. The display, in the now ubiquitous 18:9 ratio, is crisp and bright. The Snapdragon 636 gives massive performance gains over the 625 found in the Note 4. The camera is also moving close to flagship-grade, providing outstanding quality in well lit scenes. And finally, as always, the battery life is among the best in the class. Check out our Redmi Note 5 Review for more details. Ok, there are a couple of grumbles… Micro-USB charging is beigining to feel very old-hat, and it’s definitely about time NFC filtered down to this market segment. But these aren’t really major concerns and don’t take anything away from the overall package. If you’re one of the millions out there that has a Redmi Note 4, I think that the improved performance, display and camera mean that it’s well worth upgrading. If you’ve never owned a Redmi Note before the time is now! The Redmi 5 Plus was released right at the end of 2017 to a little confusion. What was it? Was it the replacement for the Redmi Note 4? Had Xiaomi killed off their Note series? With the same Snapdragon 625 CPU that we’ve seen in the Redmi Note 4, Mi A1 and Mi Max too, as well as 4GB RAM and 64GB of storage it all seemed rather familiar. It even borrowed the Omnivision camera sensor that we were so impressed with in the Mi A1, albeit in single lens only guise. The CPU is getting a little long in the tooth but still provides capable and efficient performance. Coupled with the 4000mAh battery this helps the Redmi 5 Plus to be somewhat of an endurance champ. Camera performance is above average, and overall the 5 Plus is a very competent all-rounder. Check out our Redmi 5 Plus Review for more details. While it was initially viewed as a disappointment the Redmi 5 Plus has developed into something of a ‘sleeper hit’. This is down to its keen price-point, making it a ‘bang for buck’ champion! OK, so it’s lacking USB C, NFC and a dual camera setup, but everything else in the spec sheet points to a phone which can happily slug it out with devices costing a lot more. Now the Redmi Note 5 has been released the price of the 5 Plus has been pushed even lower… Hunt out this bargain and you won’t be disappointed! Xiaomi and Redmi – Best of the Rest! Whatever Xiaomi phone you buy, you’ll be getting a great deal. For even better value, look to the last generation of models below. Launched in 2016, the original Mi Mix could be seen as the device which kick-started the bezel-less craze that we’ve seen take over 2017, and the Mi Mix 2 has a more refined take on this winning recipe. 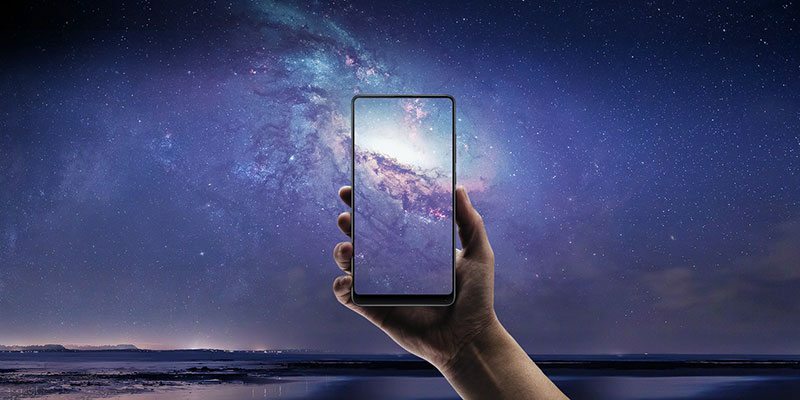 Of course, it’s all about the screen with the Mix 2, all 5.99 inches of it! The display is set up in the ‘tri bezel-less’ format meaning razor-thin bezels on the top and sides. A standard sized bezel below the display houses the selfie camera. 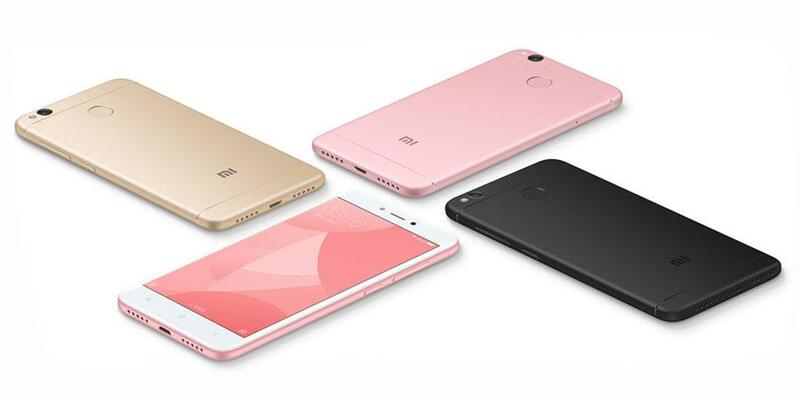 This delivers a 10% bigger screen than the 5.5″ unit in the Redmi Note 4, in a body only 0.5% taller. Thanks to this epic display the Mi Mix features the de rigeur 18:9 screen aspect with all the benefits this brings. With the outstanding screen and sleek design, the Mi Mix 2 is truly a thing of beauty. But… its beauty is soon marred as the ceramic body picks up fingerprints fast. Having said it’s all about the screen, I’m going to contradict myself now. It’s actually NOT all about the screen with the Mi Mix 2! 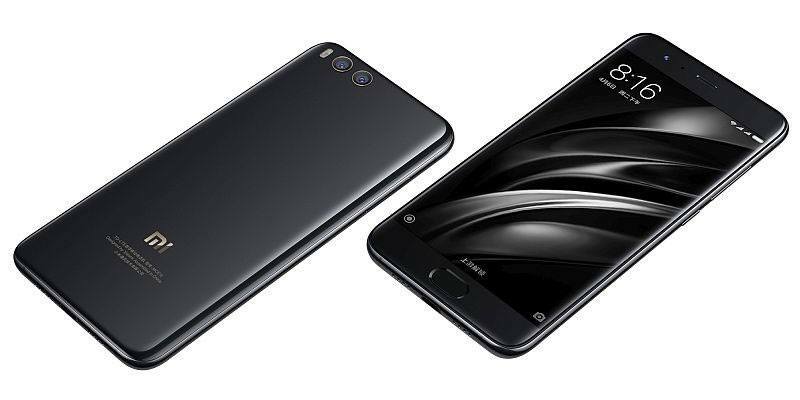 Under the hood it has a Snapdragon 835 CPU with 6GB RAM, meaning it can legitimately lay claim to being Xiaomi’s 2nd flagship phone of 2017 after the Mi 6. In fact, screen size aside the two devices are remarkably similar other than one major difference. The Mi Mix 2 has only a single camera, so you’ll miss out on the portrait mode that the Mi 6 can offer. If you can live without that, then the Mi Mix 2 is the closest thing you’ll get to an iPhone X on Android! 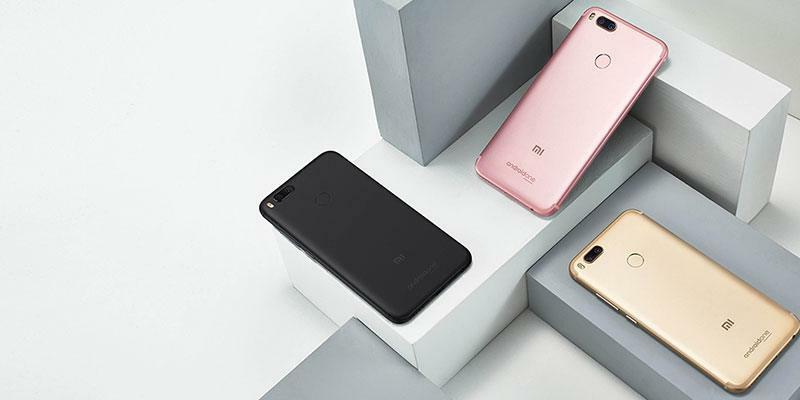 The Mi 6 was Xiaomi’s original 2017 flagship, featuring the Snapdragon 835 CPU, 6GB RAM and either 64GB or 128GB of non-expandable memory. As I found in my full hands-on Xiaomi Mi 6 Review, not only does it perform as well as any of the 2017 flagship devices but it also takes some amazing photos too. The dual camera setup has some great features including a 2x optical zoom and portrait mode. The latter is a really effective take on the blur/bokeh effect and adds a blur to the background scene which really brings the subject clearly into focus. It can produce some really pleasing shots, and is a feature that I couldn’t do without now. The Mi 6 also shoots great videos thanks to its 4-axis image stabilisation. Other than the killer camera the Mi 6 shines in every area. With a 5.15 inch screen, you’d almost call it a compact device nowadays, and it’s small and light enough to operate comfortably with one hand. The battery is fast to charge and is good for a full day of moderate use. While it’s only 1080p resolution, the display is crystal clear and the hybrid stereo speakers are loud and rich. In my review, I struggled to find any negative points, and I’ve been using it as my main phone for a few months now with nothing giving me any inclination to swap devices. Having been on the market for a good few months now, the Mi 6 is priced extremely competitively and represents excellent value for money. A recent update to MIUI 9 means that it is running Xiaomi’s latest software. So now the difference between the Mi 6 and the Mi Mix 2 really comes down to whether you want a compact flagship with an amazing camera, or a beautiful bezel-less flagship with a huge screen. Either way, you’re making a great choice. I see the Mi A1 as the spiritual successor to Google’s own, much loved Nexus 4. 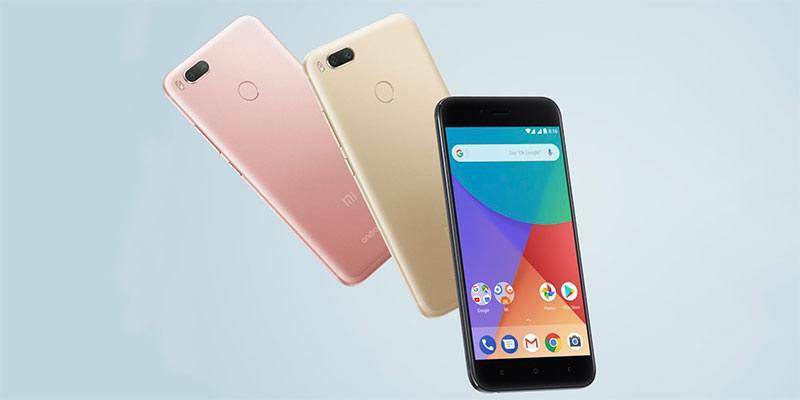 It’s the latest phone released as part of Google’s ‘Android One’ program, which aims to provide phones running the latest version of Android on solid hardware at a keen price-point. Design-wise, the Mi A1 looks a little like an iPhone 7 Plus, with materials and construction bordering on premium. In our recent review we scored the ‘price vs build-quality’ ratio a solid 9/10! The solid CPU and generous RAM, coupled with the performance benefits delivered by running a lean Android version means that the Mi A1 feels as quick and smooth as last year’s flagships – no mean feat for a device that’s half the price. The Mi A1 is the only Xiaomi phone that doesn’t run MIUI – Xiaomi’s version of Android. For many people, who find MIUI too intrusive, this is a godsend. The huge benefit to being an Android One phone is that the Mi A1 gets the latest updates and security patches as soon as they are available, in the 3 weeks I was testing the Mi A1 I had 5 OTA updates! It’s also worth noting that the dual camera performs almost as well as the one found in the Mi 6, and is easily the best snapper of any mid-range device we’ve tested. Our only minor quibbles points with the Mi A1 are the rather large bezels, and a standard 5V/2A charging battery that’s a little on the small side at 3080mAh. Looking for a phone with a massive screen, capable hardware and a battery that will last for days? Look no further than the Mi Max 2. Every inch a premium mid-range monster, the Mi Max 2 is effectively a tablet that you can make calls on. Like the Mi A1 it runs a Snapdragon 625 with 4GB of RAM which is more than powerful enough for all but the most hardened users. As with all Xiaomi phones build quality is excellent. Though it’s ‘only’ 342 PPI the display is fantastic, capable of exceptional brightness with an excellent contrast ratio. Bolstering the multimedia credentials is a stereo sound setup using the earpiece as the secondary speaker. As for the battery, the Mi Max 2 is powered by a frankly ludicrous 5300mAh unit. This thankfully features Quick Charge 3 so doesn’t take forever to refuel. Vigorous community testing shows that the Max 2 is capable of 24 hours of video playback on a single charge! The Mi Max 2 also performs well in other areas. The single 12MP camera with dual flash takes great photos and can even capture 4K video. The Mi Max 2 has wireless AC support, with Bluetooth 4.2, FM Radio and an infrared blaster. All in all, this is a beast of a phone that has many great features. But, its strengths are also its weaknesses. Some will find it just too big and too heavy as a daily driver. The Redmi series may be Xiaomi’s ‘budget’ line, but in my experience, this makes no real difference in terms of build quality. The 4X is certainly well-built, with a pleasant enough design and an aluminium rear. The specs may place it firmly last for performance among the phones in this list. However, the price makes the Redmi 4X hard to ignore. With many different spec levels, you need to make sure you’re buying the phone that’s right for you. The mid-tier 3GB RAM/32GB storage variant has been seen for a staggering £85 during store promotions! For me, this represents fantastic value for money and is the model I’d choose. You may want to avoid the 4GB RAM/64GB storage version however. At around £140 I’d say it’s not worth paying the premium for. Whichever model you choose, you’ll get an octa-core CPU, bright 720p screen, decent 13MP camera and very generous 4100mAh battery. What this gives, even in the lowest 2/16GB package, is a phone that is absolutely adequate in every department. For some, that’s damning with faint praise, but for many people that’s just fine. 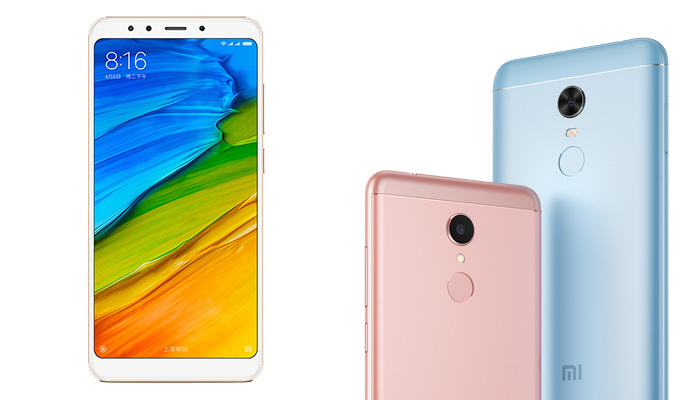 Should you choose a Xiaomi Mi or Xiaomi Redmi for your next smartphone? Redmi is Xiaomi’s budget-friendly sub-brand, which releases phones that are exceptional value for money. While they still retain Xiaomi’s great build quality, the Redmi phones will generally be running on lower specs, with slightly less cutting-edge design language – but that’s the tradeoff for the cheaper price. It might be worth getting a newly released Redmi rather than choosing an Mi device that’s been on the market for some time to ensure you get the newer features like an 18:9 display. As with many of the smartphone manufacturers we feature on Review Hub, Xiaomi don’t sell directly in the UK. This gives you 2 choices. You can buy it direct from China, or pay ‘over the odds’ for a device that someone else has imported. Check out our Smartphone Buying Guide for some handy tips. You may find the number of different variants of the same phone slightly bewildering. Other than the Mi A1, there are numerous versions of the 4 other phones in our list. The main differences are in the amount of RAM and internal storage offered. Another difference that you’ll need to be aware of is which region the smartphone has been produced for. Most models come in Chinese, Global and International guises. I’d definitely suggest that you stay away from the ‘Chinese’ versions. These won’t have Google Play installed on them. The Global version will be set up in English, and have access to Google services. Please be aware though that these are generally ROMs that have been installed by the vendor. This means that the phone may be running non-official software and be slightly slower to get OS updates. The International version will have the official Xiaomi software and one other, major bonus. It supports LTE Band 20/800MHz, which as standard most Xiaomis don’t. Some phone networks in the UK only run their 4G services over Band 20 so this is worth bearing in mind. See our handy guide for more information on this. I’ve been lucky enough to get hands-on with the Mi 6, Mi A1, Mi A2, Redmi Note 5, Redmi 3S, Redmi Note 4, Redmi Note 5 and Mi Mix 2 so far. I’ve used each of them as my daily driver for differing lengths of time but my experience with each of them was overwhelmingly positive. Even the low specced Redmi 3S was up to any task I wanted to throw at it. The Mi 6 was a worthy flagship which caused many an S7 Edge or iPhone 7 owner to turn green with envy when I told them how little it can cost to get a phone that outperformed their devices. Of the four, perhaps the biggest surprise was the Redmi Note 4. This performed almost as well as flagships of the day at a third of the price. It proved immensely popular too, at one point Xiaomi were selling one every 4 seconds!